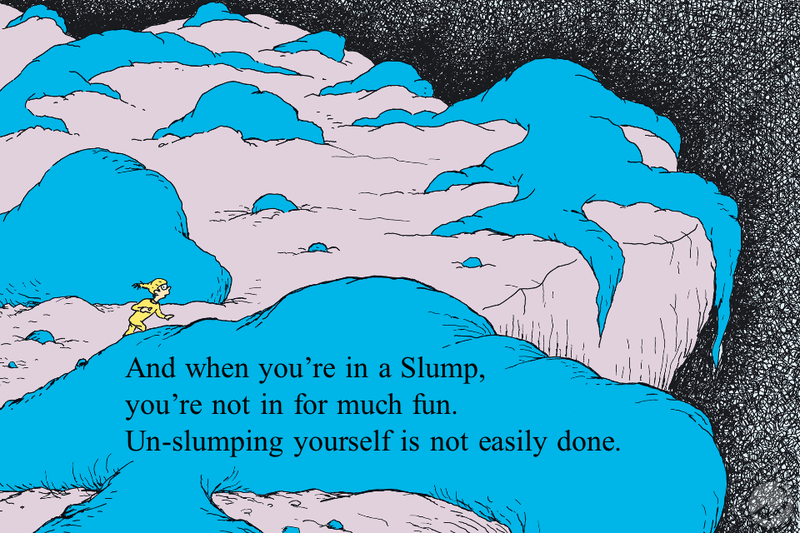 Time for another one of my tried, true, and tested remedies for "un-slumping" yourself! This one is all about trying new things and challenging your brain and body. Ya'll I am ADDICTED to slacklining! 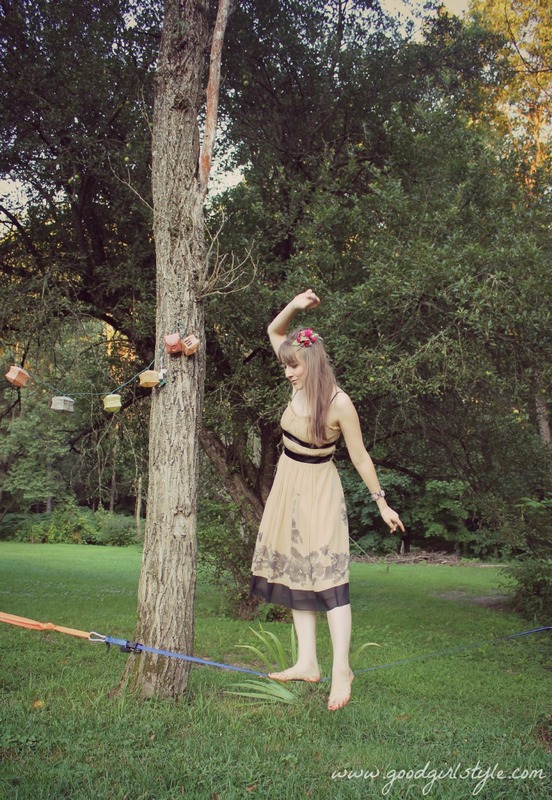 Slackline is like a tightrope but it's a flat line and it's slack, so it's bouncy and a bit more difficult. This was totally new to me this year, and I am amazed at how exciting it is to find a new hobby. Slackline is so good for my body and my brain. Plus it's FUN! The new challenge of applying focus, balance, and commitment (three core principles of slacklining) are really clearing my mind and opening my creative spaces again. Slackline isn't for everyone, but it's the principle that matters: try something NEW and SCARY, and see where it gets you. Chances are, it will get you a lot further than you think! Thanks for that quote... I really needed that today!